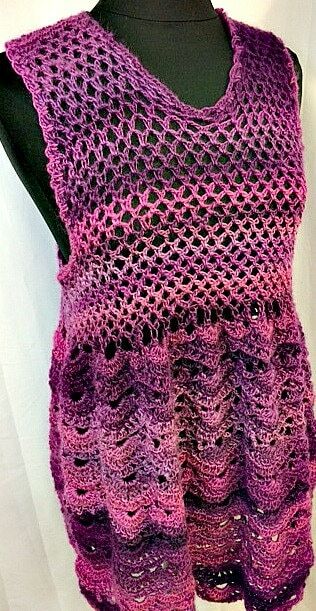 This crocheted summer tank top will be the perfect beach cover up or to wear for a summer lunch date. It's light-weight, airy, and comfortable. It was handmade with love and care and 100% acrylic yarn. If your not wearing it to the beach it would be lovely with a camisole under it and can be dressed up or dressed down! 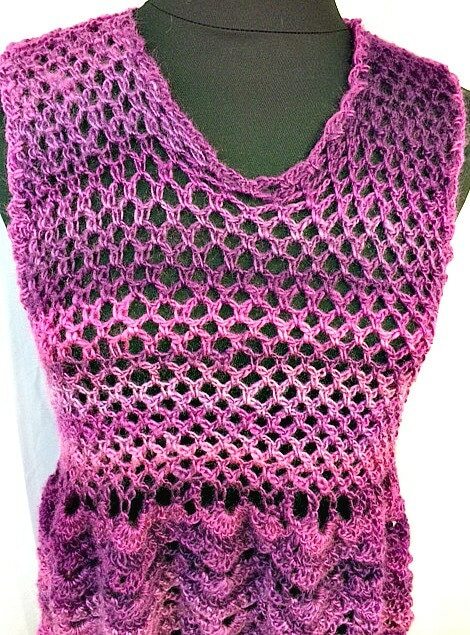 This tank is a size S/M, but can be made to order in larger sizes upon request. I welcome your questions, comments, and feedback. Approximate length from shoulder to bottom of skirt is 31" and measures 13" across the shoulders. It is a lose fitting top.